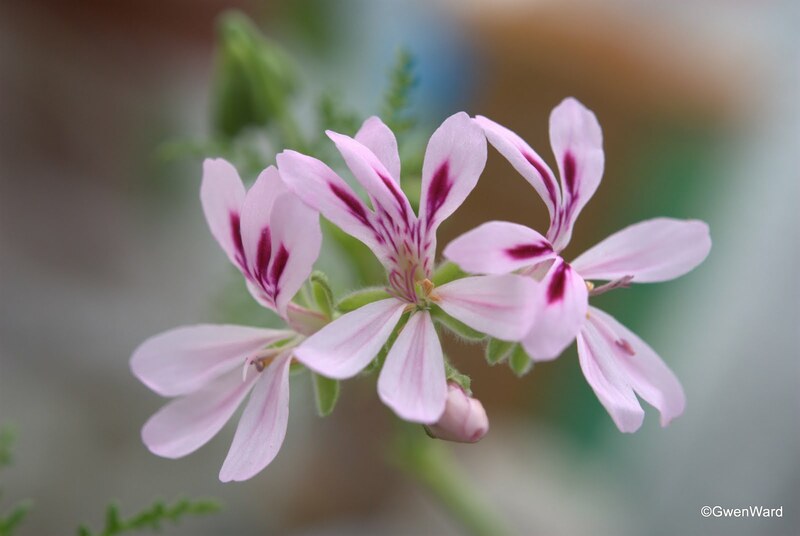 One of the most unusual members of scented family of pelargoniums is P. Filicifolium. Striking because of it's unusual leaves which are large and very incised, almost fern-like. It has a tacky feel when touched and the scent is of balsam. Some say this is unpleasant, but I don't find it so. It has few flowers, and those it does have are smallish and pale mauve with the usual feathering on the top two petals. The plant grows tall on a woody stem. Pelargonium 'Filicifolium' has been in cultivation since around 1805-1809. 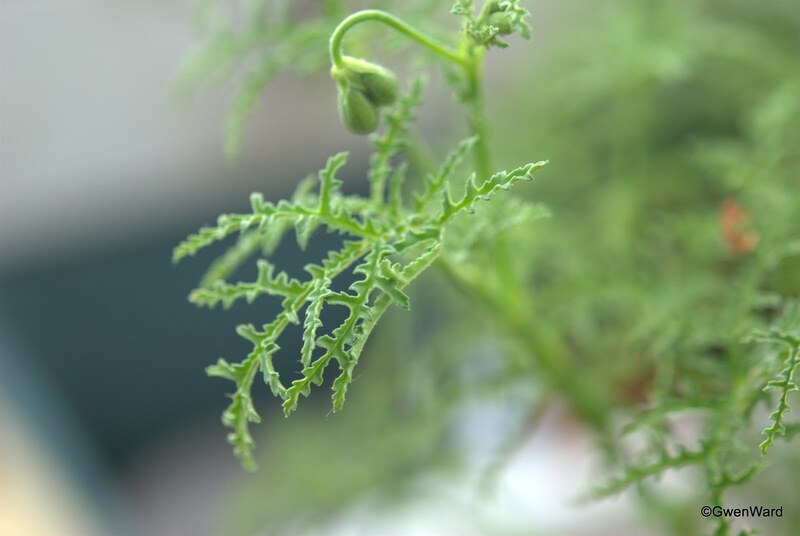 I am told that P. Filicifolium is much sought after by florists for its fern-like leaves, and also because the stems do not need wiring. I had the most wonderful day at Fibrex Nursery, Nr Straford upon Avon, on Sunday. A few pelargonium enthusiasts gather there each year to chat about our favourite plants. It is a really enjoyable day. The National Collection of Pelargoniums, which is housed at Fibrex Nursery, was looking particularly good and Fibrex Nursery are to be congratulated for the wonderful care they take of the collection. I am glad you had a good time. That pelargonium is very pretty, the greyish foliage goes well with mauve blooms. I love the delicate leaves.